The gorgeous Hotel Palacio Marques de la Gomera is an impressive example of Andalusian Baroque. Built in 18th century the inner patio is surrounded by a wooden galleried balcony, the façade was completed around 1770. The town of Osuna about 80km from Seville is ancient, founded about 3,000 years ago, it was called Ursus in Roman times. 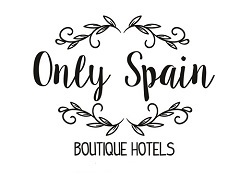 The hotel is located on San Pedro street which is considered by UNESCO to be one of the most beautiful streets in Europe beacuse of its abundance of palacial buildings. The bedrooms are all around the intricate Andalusian patio with some rooms in the attic. This is a beautiful ancient building and as such there are quirks of time and continual maintenance that could perhaps have been better but even so I thoroughly enjoyed my regal stay in this amazing Palace. or book Hotel Palacio Marques de la Gomera immediately via Booking dot com.